A grandson of the founder of Goya Foods, Andy Unanue got his start in the seventh grade with his family’s business. Now, as managing partner of the New York-based AUA Private Equity Partners, he’s in the business of helping families. 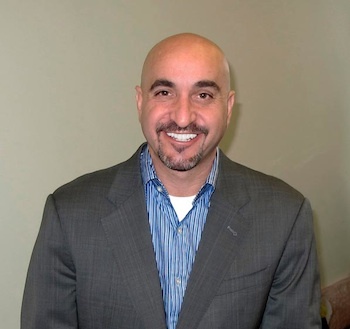 He has an MBA from Thunderbird, the American Graduate School of International Management, and through his ensuing professional and community work, he has received multiple awards and was named businessman of the year by the Federation of Hispanic Chambers. Hispanic Executive recently sat down with Unanue to hear about the importance of “keeping it in the family,” and what that means for making a successful business. I was going to raise a private-equity fund after grad school, but I ended up going back to Goya because my brother got sick and I ended up taking his place after he passed away. So then I became COO of Goya from 1998 to 2004. Obviously, the mentorship and learning I got at Goya was paramount to everything I do now. I had been working there every summer since I was in seventh grade. When I finished undergrad, I started working there full-time, learning every aspect of the manufacturing side of the business in Puerto Rico, then getting transferred to headquarter operations in New Jersey. And then the leadership felt like I was ready to run my own shop, so I was transferred to the Dominican Republic, and formed the family office there. 2004: Unanue leaves “the day-to-day” of Goya and founds both his family office and AUA. AUA has only one employee besides Unanue. 2010: Unanue acts as general partner (GP) of AUA and closes the firm’s first deal. He chooses his new partners from the teams he had chosen a few years prior. 2012: AUA launches its first fund. Today: The company has about 20 direct employees and more than 200 total employees through deals and portfolio investments. When I started the family office, I used a lot of that operations knowledge and skill I learned at Goya, but I’ve always been very entrepreneurial, and have wanted to grow and build new businesses. Once I built up an infrastructure at the family office, I started investigating building out a private-equity platform. We have two demographic focuses within our fund. We focus on either family-operated or Hispanic-oriented businesses. That’s what I grew up in: a family-owned business that was Hispanic-oriented. Both of those trends have incredible opportunity. There is the growing population in the Hispanic community, plus, the cultures of family-operated and Hispanic businesses are very similar; very insular and very entrepreneurial. I have a lot of insight within a family-run business, so there is hopefully a chance to replicate the experiences I had at Goya for other businesses. We think long-term capital will produce higher returns, and that’s part of the decision on why we started doing private equity. It’s long-term lockup. You’re investing over the lifespan of five to 10 years, but my partners and I are investing a substantial amount of money into the fund; much more than most traditional GPs in their LP. We have created a true alignment of interests between our investors and us, where our goal is that our capital grows alongside our investors’ capital, instead of making money on the fees. I’m a big believer in hiring the best people to do the job, empowering those people, and helping them make the right business decisions. My partners are very in tune to that, and they’re obviously very smart and knowledgeable. We work well together, and even though I own a majority of the business, we’re still very much true partners. In the next four to five years, AUA will probably be on our second fund. We are also growing my single-family office into a multiple-family office, taking in outside investors on the asset management and liquid sides. I’m also looking at doing some other types of funds, other than the private-equity fund. My goals is to successfully invest the first fund, return to our investors a mid-20s IRR, with two or three times their capital returned; and to help entrepreneurs of family-owned and Hispanic-oriented businesses by successfully creating wealth for them.